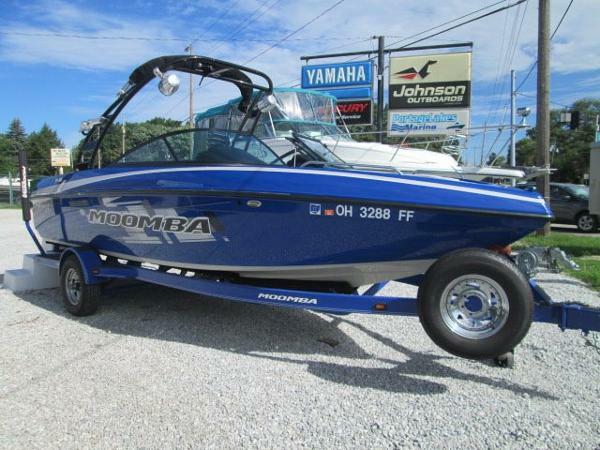 2015 Moomba Mondo Here is your opportunity to own a clean, late model, low hour Moomba wakeboard boat! 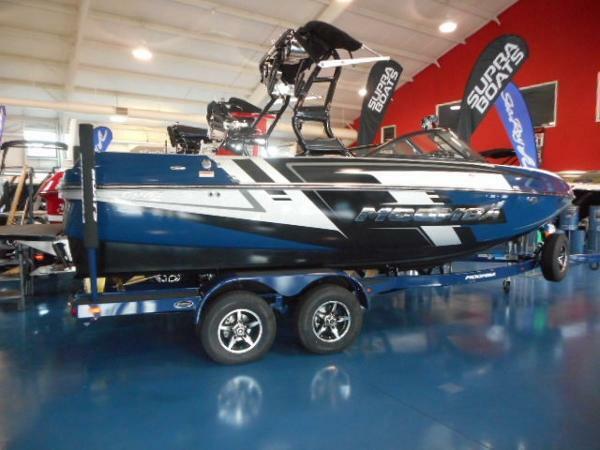 This 2015 Moomba Mondo was purchased and serviced at Sea Ray of Cincinnati and includes tons of great options: Ford Raptor 6.2L (101 hours), Autoflow surf system with upgraded surf package ballast, bow filler cushion, pop up cleats, tower with swivel board racks, full boat cover, bimini top, upgraded stereo with 4 speakers, amp, additional 2 bow speakers, transom stereo remote, LED Moomba logo lights in cockpit, softsided cooler with Moomba logo, depth finder, dual batteries with switch and onboard charger, trailer with spare tire, swing away tongue, and guide pole covers, plus more! Located in Cincinnati. All trades considered. 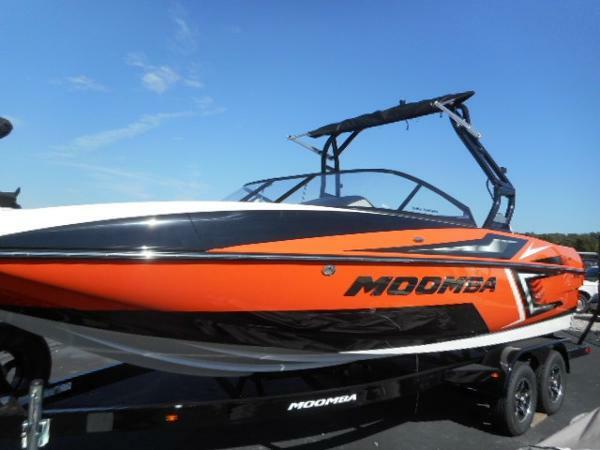 2017 Moomba Mojo Brand new 2017 Moomba Mojo with all kinds of options! Powered by Indmar Raptor 400 6.2L Vdrive and includes Flow 2.0 Surf Package, Autowake, Premium A3 tower with bimini, arms, and surf storage rack, tower speakers, amp, bow speakers, subwoofer, tower light bar, heater, bow filler cushion, dual battery, full boat cover and more! Sporty orange with black accent. Located in Cincinnati. All trades considered. 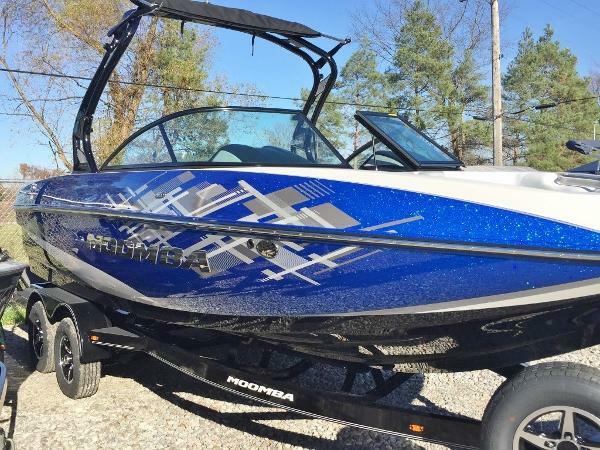 2012 Moomba Outback V Powered by an Indmar 330hp MPI Vdrive (245 hours), this Moomba Outback V is ready for more wakeboarding! 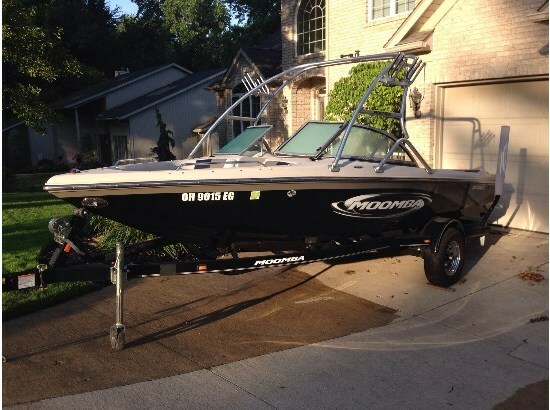 Includes Oz tower with bimini, wakeboard rack, cockpit and tonneau covers, Digital Cruise Pro, depth finder, flip up bolster helm seat, stereo with cd and remote at helm, trailer with swing away tongue, spare tire, and guidepoles. Located in Cincinnati. All trades considered. 2016 Moomba Mojo PRICING INCLUDES FORD 400 MOTOR, COVER, SWIVEL BOARD RACKS, S-BEND TOWER, 4 TOWER SPEAKERS, WALK-THROUGH NON SKID, BIMINI TOP, METAL FLAKE, DISTORTION GRAPHICS, DEPTH FINDER, GUIDE POLE COVERS, DECK COLOR ACCENT, HULL ACCENT COLOR, BOW FILLER CUSHION, AUTO FLOW 2.0, CLEATS, SPEAKER BOX LIGHTS, SPARE TIRE, SEAT BACK KIT, NON SKID PACKAGE, BOW SPEAKERS WITH SUB AND AMP, NON SKID SNAP FLOOR. TRAILER. SWING TONGUE, FACTORY FREIGHT AND DEALER PREP. 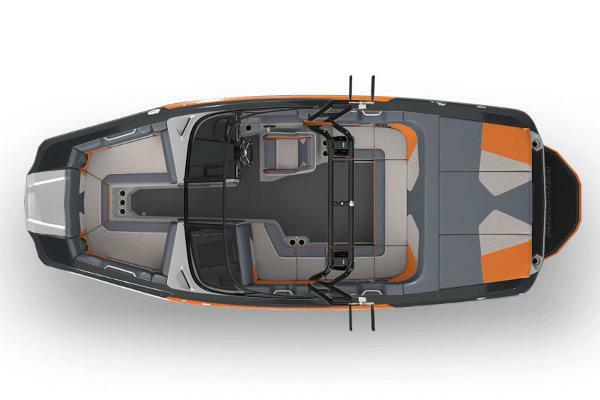 The Mojo hull is designed for additional weight and has sharper edges for increased ride and handling. Add the specifically designed auto-flow 2.0 system and you've got clean crisp waves to take you're riding to new heights. 2016 Moomba Helix A new entrant to the Moomba family, the 2016 Moomba Helix provides a hefty list of standard features for a great day on the water and combines it with unique style at an industry best price. The 20'5" Helix comes standard with Raptor Power, Kicker Audio, Digital Cruise Pro, NEW! 5.3" Color Multi- Function display and other features to make it the best performing entry towboat in the market, period. 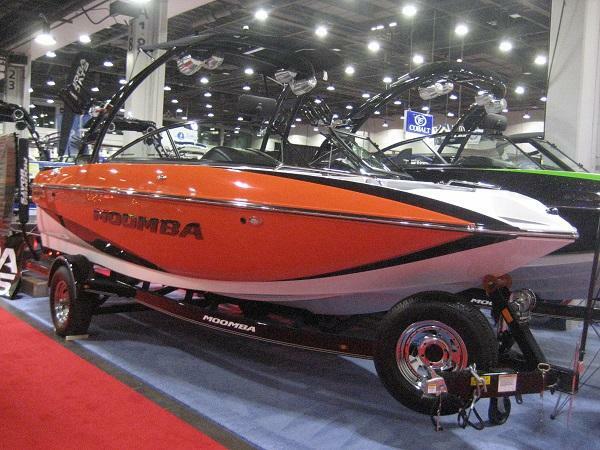 2017 Moomba Mondo Here's the 2017 Moomba Mondo powered by the all-new Raptor series is based off a proven workhorse, the Built Ford Tough® 6.2L 16-Valve V8 engine that was designed, engineered, built and torture-tested by Ford. The same state-of-the-art engine that powers the F-150 SVT Raptor and F-Series Super Duty Trucks that boast best-in-class gas horsepower, torque and max towing ratings.The 6.2L Raptor Series by Indmar is the result of purpose driven engineering designed to provide more torque where you need it to allow for increased loading of boats. Experience faster acceleration, less time to plane, reduced wear-and-tear and better fuel economy. Also includes Aviator tower with swivel board racks and stereo speakers. 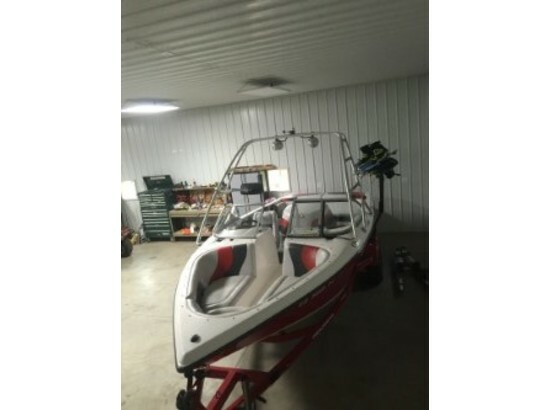 Includes stereo with amp, cockpit speakers, and transom remote, full boat cover, Autoflow 2 Surf package, dual batteries with charger, single axle trailer with spare tire, and more! All trades considered. 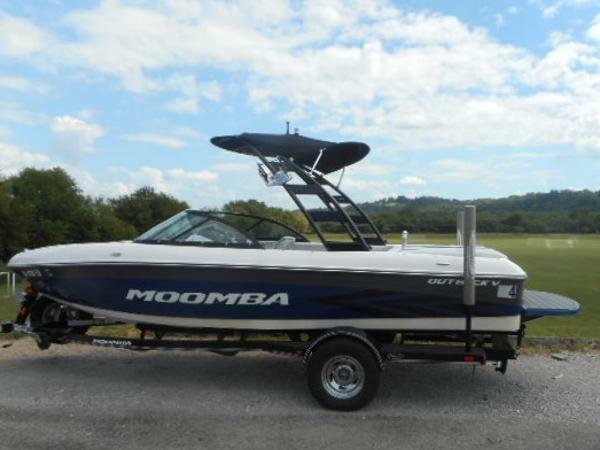 2016 Moomba Craz Wow! 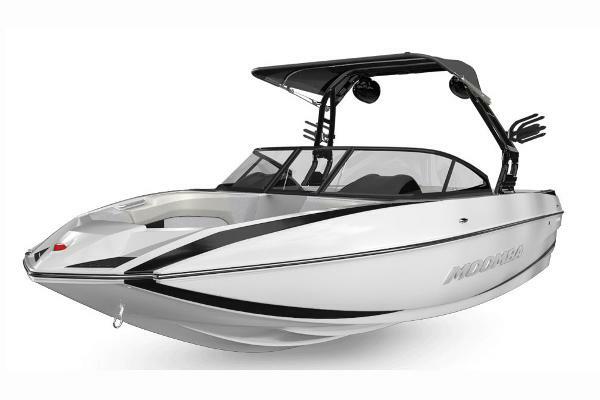 2016 Moomba Craz powered by Indmar 6.2L MPI and loaded with extras! Includes Autoflow 2 Surf Package, A3 tower with bimini and racks, stereo with transom remote and bow and tower speakers, bow filler cushion, dual battery w charger, full boat cover, Boatmate tandem trailer and more. Great graphics and color combo too! All trades considered.